I am so excited to present a new website and blog design business to you, The Design Consortium! This web design business is unlike any design company out there. This company was built on the idea that we need one simple place to outfit a blog or website. Instead of going to several places to cover all the bases, the girls behind The Design Consortium wanted a virtual assistant, graphic design whiz, and full design and consultation services all in one place. So, that is what The Design Consortium is. There are a few ways that The Design Consortium is different.One, they offer a custom “design your own” option for your site. You tell them everything you need (starting from the basic “I just want to start a blog and don’t know where to start!”) and they custom build exactly what you want and need. From support – to the design – to the framework – they help with everything. Two, they offer tweaks and fixes for your already-existing site starting at just $10. That’s right. $10. Sometimes you don’t need a huge overhaul – just a color tweak here and there! Three, the prices are super reasonable. No thousand dollar designs here! They don’t want to leave your budget dry – just to make your dream site happen! And fourth (which is my favorite! ), when you register, you get a custom personalized portal that they communicate with you for everything! They submit drafts, send messages, and give you a specialized treatment. Everything is safe and secure in their system. What do they offer?What don’t they offer? 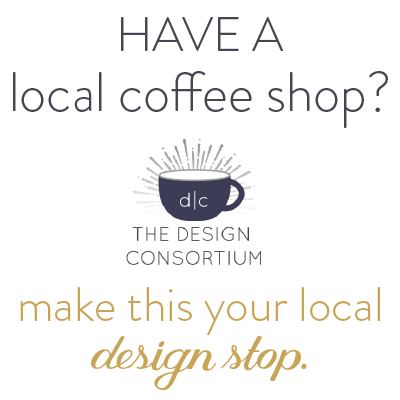 From custom consultations, social media management, Photoshop services, pre-made logos, individual add-ons, pre-made templates, copywriting for individual pages, headlines and taglines, virtual assistant services, custom design, custom logos, organizational tools – The Design Consortium has it all! Their doors open SUNDAY (February 1), and to celebrate, they want to give away THREE prizes! 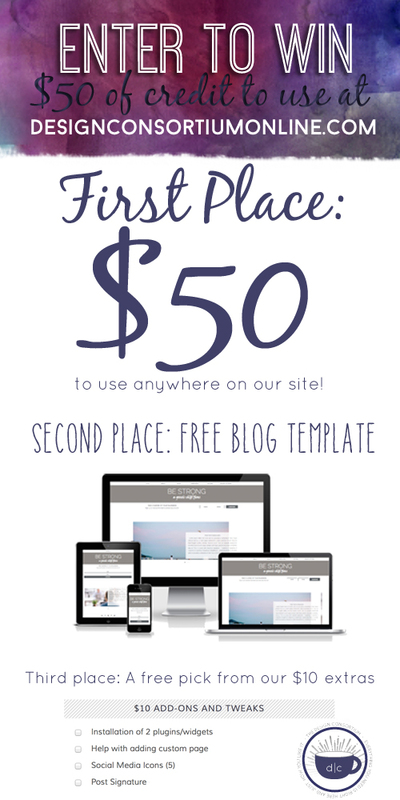 Just sign up for their newsletter, and be qualified to win up to $50 credit to their shop! The credit can be used towards anything in the store! Make sure you stop by their new site and follow The Design Consortium on Facebook here! PS: Please note that this is not a sponsored post – we’re just providing value to you, our dear readers. Update: Sadly, the Design Consortium has closed its doors. This is a great idea. I always get struck with the code and adding widgets. Lots to learn and grow. Thanks.